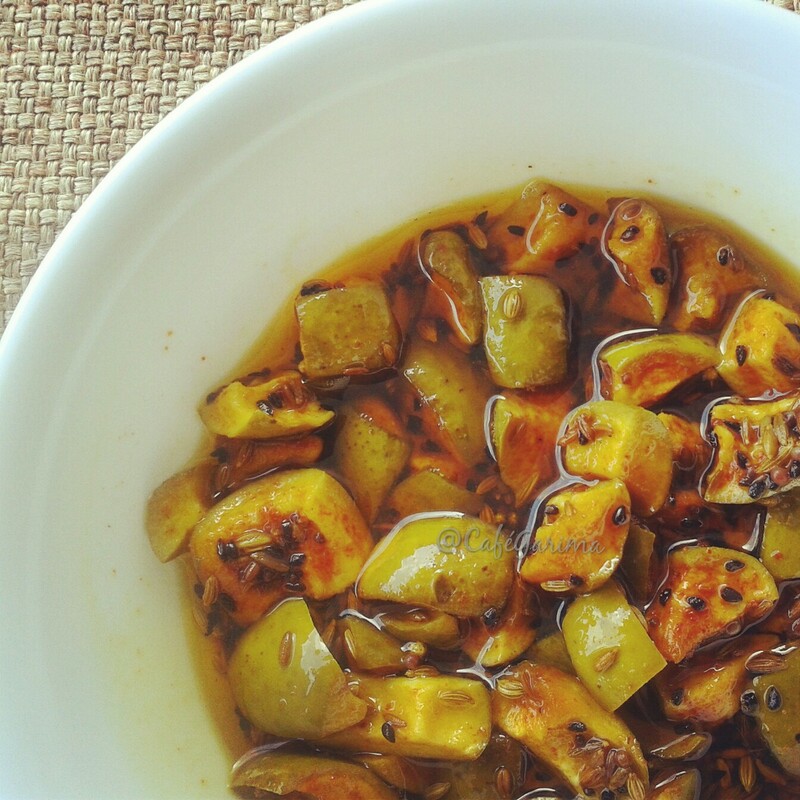 Here is spicy mango pickle with an age old recipe from my Gran’s stable. Tangy and spicy, it is a perfect accompaniment to daal and rice and crisp paranthas. Works even with bread! 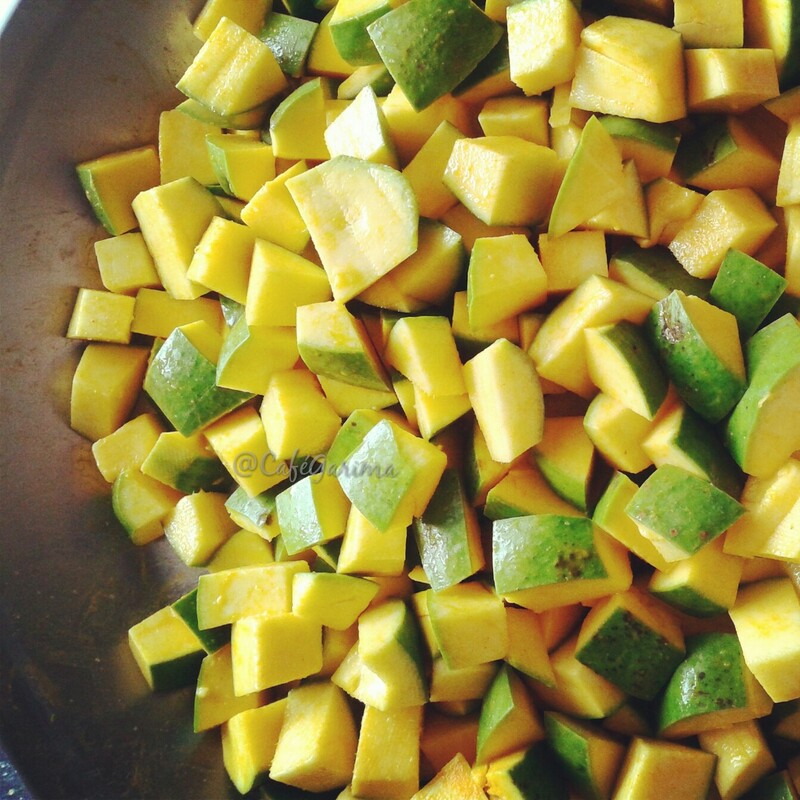 Wash and cube the mangoes and rub them with ½ tsp salt and turmeric powder. Leave the mixture covered for an hour. Spread out and let dry completely. 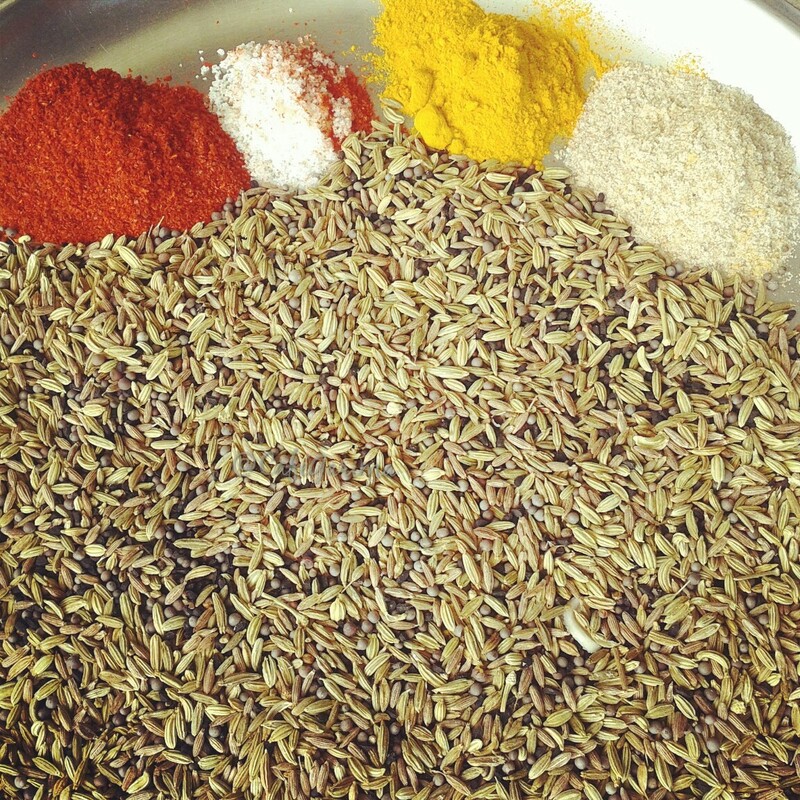 Dry roast the spices under ‘to dry roast’ and cool them. 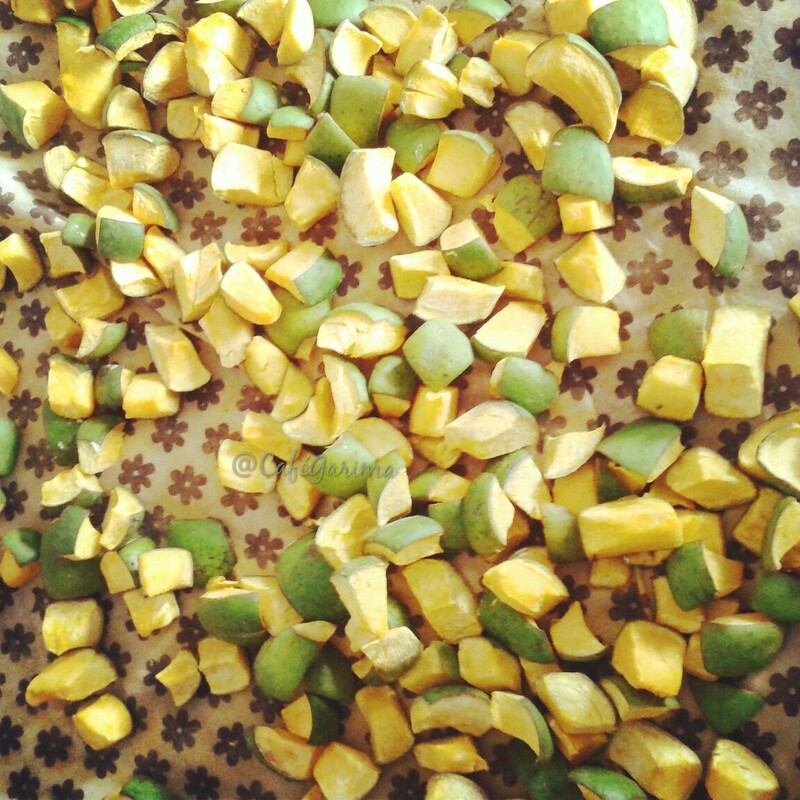 Add the roasted spices and the powdered spices to the chopped mangoes and mix well. Heat the mustard oil till it smokes. Let cool completely. Add the cooled oil to the glass jar so that it covers the pickle completely. Let the pickle sit under the Sun for 15 days. 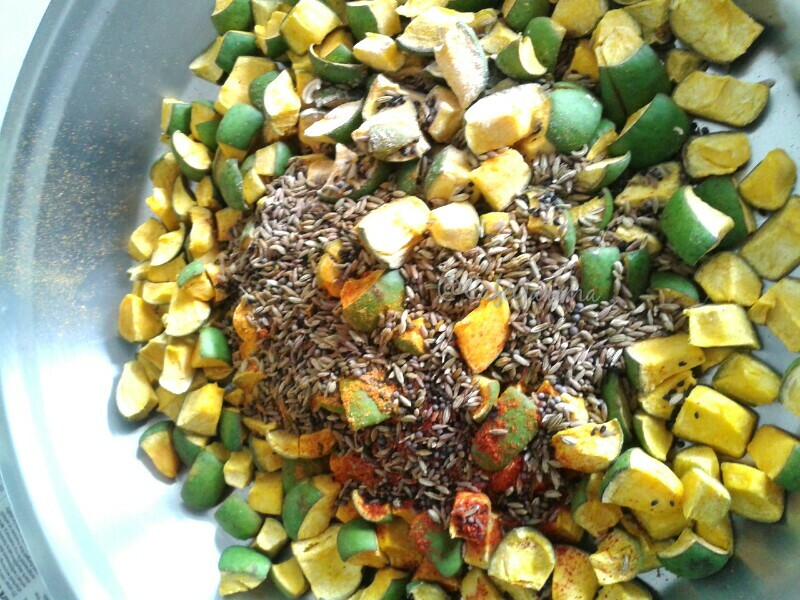 Give it a shake every 4 days to mix the spices well. This pickle stays good for up to a year. Garima…its 1 am here and reading your recipe n seeing your pics..my mouths watering!!! 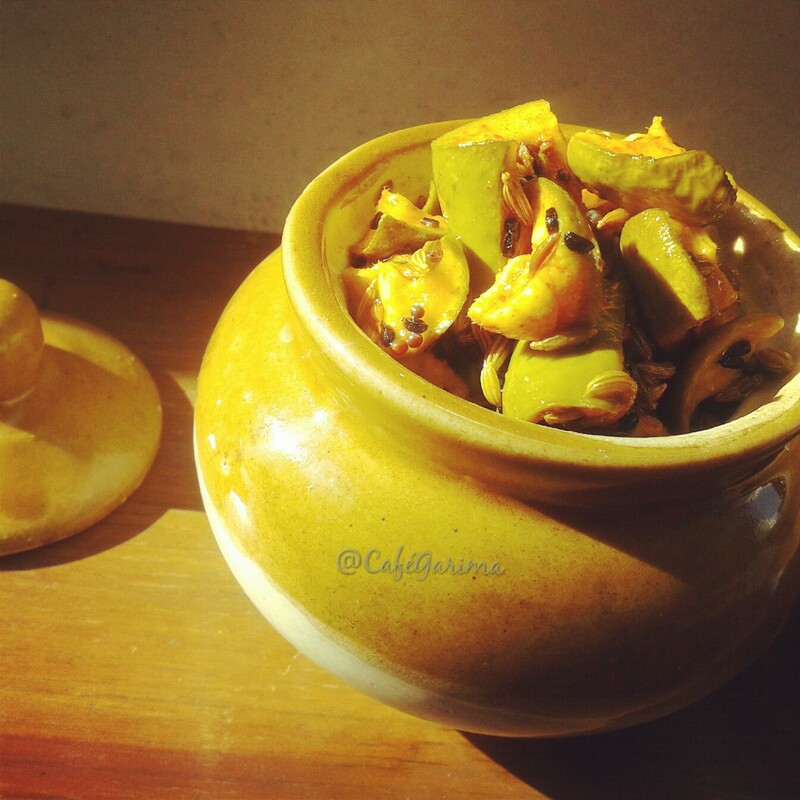 Wow both pickles sweet and spicy opt for the season…..mouth watering. ….